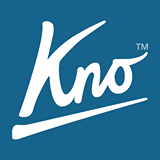 Kno started out as a hardware business, developing tablets for educational use. But the company made a strategic decision to drop from the hardware business and only develop e-learning software. Kno’s interactive/smarter versions of textbooks were then run on hardware supplied by Intel. The apps are currently available on iPad, Android, Windows 7/8. Digitized books on Kno’s platform include features for assessing student progress, sharing information. Intel Education has set out to create better learning experiences through use digital content. This is accomplished by giving educators tools for the effective integration of technology in classrooms. Kno’s existing partnerships with 75 educational publishers will strengthen Intel Education’s campaign as it aims to take on Apple and Google in the education market. Both administrators and teachers benefit from the Kno platform which provides tools for assigning, managing and monitoring digital learning content and assessments. Aspects that influence Intel’s newest investment include AI and natural language processing in Kno’s e-learning platform. With the partnership, Intel will place a heavy focus on software development as it prepares to challenge Apple’s 94% share in the U.S. education market. Next articleImages of Google Play Store running on Blackberry Z10 surface online, is this part of Blackberry’s strategy?